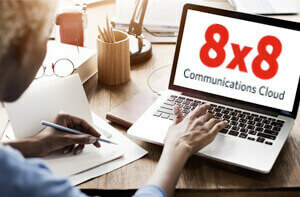 VoIP Virtual Phone Numbers: A Guerilla Marketer's Best Friend | 8x8, Inc. When you see the phrase “internet marketing,” what comes to mind? Google AdWords? Search engine optimization (SEO)? Social Media? Viral videos? 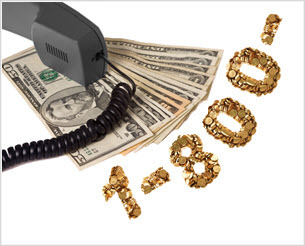 I bet the one thing you DON’T think about is VoIP business phone service and virtual numbers. They’re the key to solving the small-biz marketing problem all the way to the bank! If you’ve never heard of virtual numbers, you’re probably missing out on THE most important element of Internet marketing for small businesses. Virtual phone numbers are local or toll-free phone numbers, separate from your main business line, used for special purposes such as setting up special sales campaigns. Larger companies have long employed them successfully in their marketing efforts, often paying through the nose to do so. Today, though, Voice over Internet Protocol (VoIP) has slashed the cost of these special numbers—AND cut the time to get them, to almost instantaneous. This has made them affordable for small, medium and even micro businesses, and made them a business-on-a-shoestring weapon for guerrilla marketers—essentially a poor man’s alternative to fancy, expensive online marketing programs. For example, let’s look at Google AdWords—which provides a well-known way to buy exposure. But let’s say you run a great campaign, and lots of people clicked on your ads. That’s success, right? But after potential customers click on your ad and go to your website, what happens next? Most of the time: nothing. So, to recap, you’ve just spent hundreds (or thousands) of dollars, and the only real benefit that you—and most small businesses—get from this expensive exercise is the ability to track which words were the most popular. Now, that is useful information, especially to Google, but it’s not nearly as useful as an actual sale. But business VoIP services such as virtual phone numbers also run over the Internet, and can be used to forward calls to the right people, voicemail boxes, or extensions. Just like Google AdWords, you can use virtual numbers to track and measure advertisements—with one major difference: When virtual numbers work, you actually talk to someone on the phone, and the sales process can really begin. I’m sure you’ll agree that’s worth a lot more than a simple “impression” on your web page. There’s awesome power in knowing how your customers are finding you. Want to know if the advertisement in your local newspaper or the new advertisement you’re testing online is more successful? Easy, just use different virtual phone numbers, and run a report. You’ll know which advertisement your customers saw, by the phone number they called. You can even see in near real-time which of your ads is getting you the most calls. When you figure it out, you can immediately make that ad bigger, put more ads in similar places, and cancel advertisements that aren’t working. Numbers can be added and removed in minutes—unlike land lines, which have to be installed—letting you test new advertisements on a monthly or even daily basis. Small businesses can use virtual numbers to set up a “local” presence in neighboring areas to boost sales or test potential new markets. This can be particularly important when you’re evaluating whether there’s enough unmet demand in outlying areas to do a full campaign or establish a physical presence there. Companies of all sizes use virtual numbers to track advertising and grow revenue. Was it worth placing that ad in the local penny saver rag? Use a virtual number that you only use in that particular pub, calculate the sales, subtract the expenses, and you won’t have to guess—you’ll just know. Micro businesses can use virtual numbers to keep a professional image while working on several side-projects. So if you’re running a daycare from 9:00-5:00, and tutoring older kids out of your home, you can keep the two lines of business separate. And of course, it’s even more important to keep a firewall up, when you’re selling chainsaws out of your garage after hours, and looking after the tots during the day. Either way, having two different numbers is a great idea. You can also use virtual numbers to set up multilingual options, so that when someone calls your special bilingual number—or is forwarded there because they picked the bilingual option offered by the automated attendant—they’ll be forwarded to a person or voicemail system that speaks their language. Use virtual numbers to do “A/B testing” on new advertising. Place two different ads, or two versions of the same one. Then tally how many called the number in Version A and how many called Virtual Number B, to figure out which ad or advertising venue was best for your business. These techniques all have one thing in common. 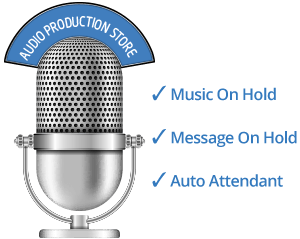 They combine the power of “good-old-fashioned” telephone conversations with the flexibility and agility of Internet marketing, boosting sales—and probably saving money at the same time.